Diwali is a festival of lights. It is a great occasion to send and receive gifts during this time to your loved ones. However, if you are far away from your friends and family, there is no need to panic. This is the modern age of technology and there are many cyberspace portals which have online delivery facilities and would ensure that the presents would reach the desired destination in time. So there are plenty of options for you once you want to send attractive Diwali gifts online. There are so many e-commerce stores online and most of them provide a lot of discounts and sales offers during the festive seasons such as Diwali. The main problem with the consumers is that there is no time to visit overcrowded shopping malls and gift stores. It is a far better bet to sit at home and shop online at your own comfortable time. 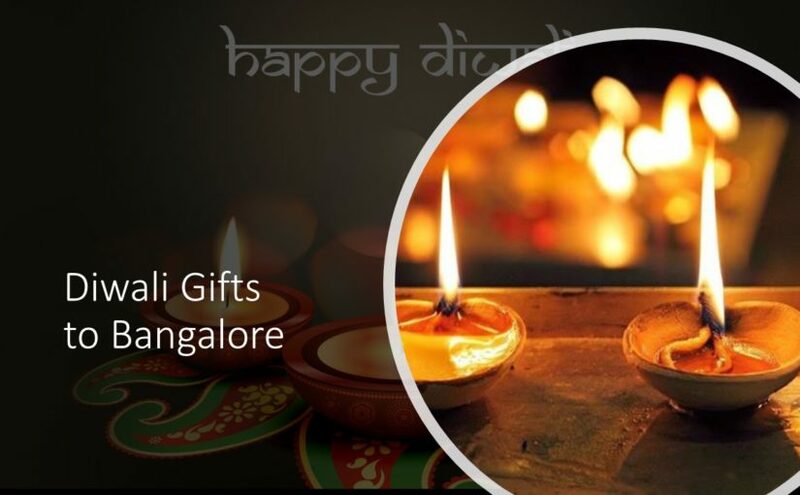 Plus, these virtual gift stores also offer a wide variety of Diwali gifts to Bangalore. In fact, there are lots of amazing Diwali presents category wise to be sent to your loved ones and at reasonable budgets. Everyone wants to be with their family on festive seasons like Diwali and Dussera. However, many of us have to stay away from our families because of work or studies or other purposes. But that does not stop us from sending Diwali wishes to let our dear ones know how much they are loved and missed. A lot of Diwali presents include Diwali sweet boxes, Diwali chocolates and of course a common gift during this season is fireworks and crackers. The boxes of dry fruits and diyas or earthen lamps also make for great Diwali presents. However, along with tradition, the e-commerce website also offers other options as well. There are other fantastic options like earthen idols of Goddess Laxmi and Ganesh, silver coins, electronic gadgets, jewelry and many more. There are so many fabulous choices that you will be spoilt for choice as you make your selection from these lovely options. For sending corporate Diwali gifts, the bulk orders of customized sweet and confectionery boxes can be placed online. These mouth-watering sweets and confectioneries are delicious to sample and are just the right Diwali present to be sent. All the cost and transactions are done smoothly online. Plus, once you have specified the address of the recipient and the desired destination, the deliveries are made in a very punctual manner. A virtual shop assistant is always present to help the buyer through online chats. Thus, the client can sit at home and shop online for sending attractive Diwali presents to his loved ones and be spared the madding crowd at shopping malls during the festive season. Many times, if bulk packages are ordered, concessions are also provided during this festive season. You can always browse through the online portals to find the perfect Diwali gifts for your loved ones.